Having started a buzz on the UK music scene as part of the dancehall collective Suncycle and working with the likes of Twista and Lethal B, Greensleeves Recording artist, Gappy Ranks, is set to release his debut solo album, PUT THE STEREO ON , August 24. The album contains 12 original tracks with production provided by the renowned Peckings Crew. For PUT THE STERO ON Gappy Ranks set out to pay homage to the foundation that Reggae music built while bringing to the genre a direction he sees as the future of reggae music. The album opens with “Mountain Top,” Gappy’s first track to rise on the UK Reggae charts, followed by “Heaven In Her Eyes ,” which remained #1 for 13 weeks on the UK Reggae Charts and introduced him to an international audience. When recording PUT THE STEREO ON Gappy Ranks was granted access to classic reggae rhythms like the Treasure Isle rhythm featured on “Happiest Day Of My Life." “Thy Shall Love” delivers a powerful sound and uplifting message of loving yourself and others. For the closing track, “Soul Rebel,” Gappy Ranks is accompanied by legendary UK Reggae artist Nereus Joseph. Born and raised in the inner-city town Harlesden NW10 which is unofficially known as London’s Reggae capital, Gappy Ranks discovered his passion for music at a young age. While attending school, he strengthened his musical skills devoting most of his time to writing. He made his studio debut with the Ruff Cutt band at aged 11 and later joined Stonebridge stars Suncycle Crew. This experience helped him develop his understanding of the music business and the building of his musical repertoire. 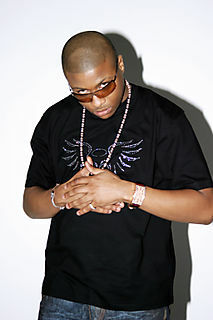 He has released numerous mix tapes and collaborated with fellow UK artists Kray Twinz, MC Lethal B and US rapper Twista.